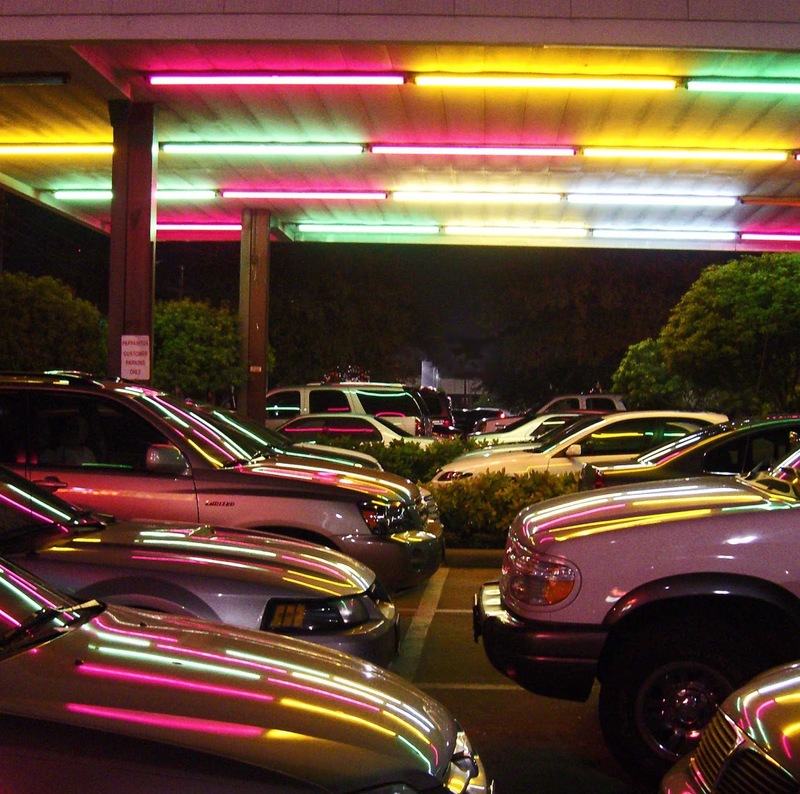 Houston is a notoriously car-centric city. There are untold acres of grim heat-baked parking lots. People hurry in and out of their vehicles, escaping as quickly as possible into air conditioned offices, restaurants and shops. In the evening, there is one parking lot where I enjoy lingering. Lit by bright bands of neon, the Papacito's lot is festive in an old-fashioned, summery way. 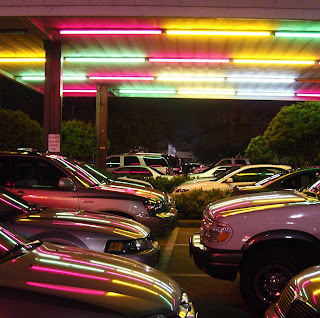 I like to look at the reflections of the colored lights bending and stretching on the surfaces of the cars. This parking lot still echoes the 1950s when a car symbolized freedom and mobility instead of pollution and traffic jams.